Science is a very important (and popular) part of a child’s life. As a child learns about the world around him, making sense of it, using their senses to discover and investigate… this is all science! Sometimes, I get to visit preschool classes and conduct experiments. Recently, we did a sink/float experiment. 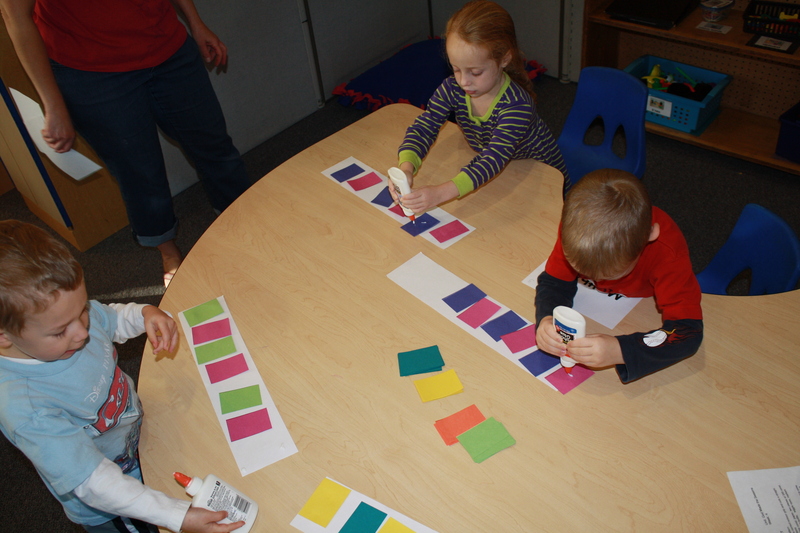 While this sounds pretty simple, it is fascinating to the children… and fun too! What types of things sink and what types of things float? The rubber band ball sinks but one rubber band floats! The bouncy ball sinks but our splash ball floated! We also tried cans of pop. What will full cans of pop do in water? Will Mountain Dew do the same thing as Diet Coke? What about Diet Sunkist and Dr. Pepper? Not only did the children learn about cause and effect (dropping a can into the water makes a big splash), they also noticed that some of the cans sink in water and some float! 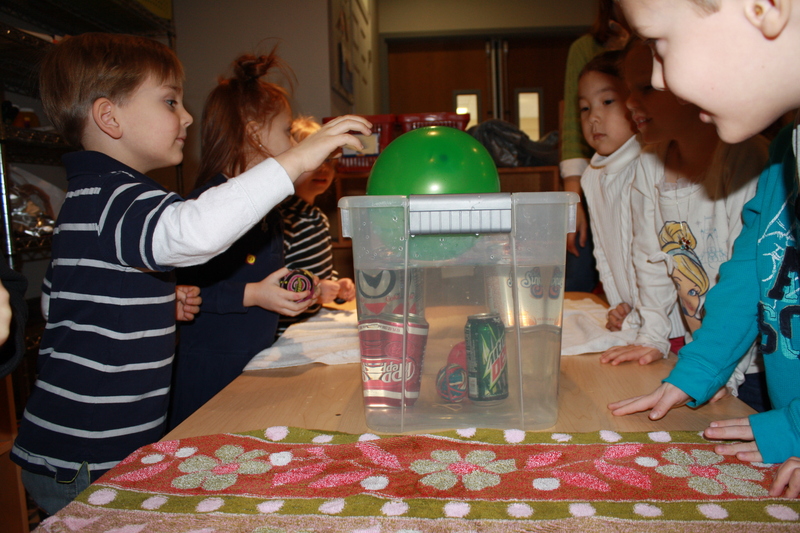 From there, we looked to see which cans sink and which float. “The diet cans float!” With a little help from me, we could conclude that the sugar in the other cans caused them to sink. While the children loved doing this with the pop, they love investigating with any types of items: paper, cork, foil, metal utensils and plastic utensils. Science is all around us! Recent brain research has found that a child’s brain develops much more effectively when their environment is rich in experience! You can do your own experiments at home: sink/float in the bathtub or in the sink. Let the children choose what items to place in the water and predict whether they sink or float. Or, you can check out these great ideas for more science experiments to do with your children. Many of you will remember our previous blog post from December 5th. 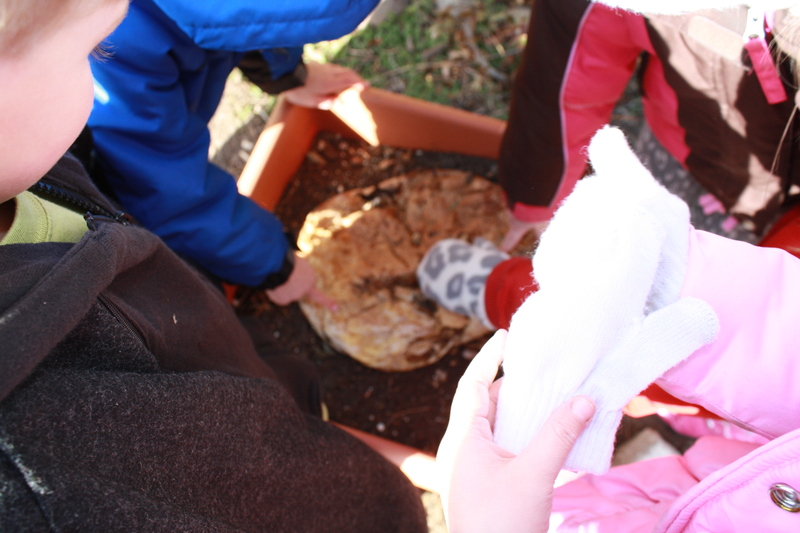 We put a rather large pumpkin on some potting soil in a pot on the playground. Here’s a picture from that post. We hypothesized (made guesses) about what would happen to the pumpkin. Today, I asked some children what they thought had happened to the pumpkin. I said that I was pretty sure it had changed. They had some ideas about what might have happened. Can you tell I was talking to a group of girls? I am confident the ideas would have been very different if I had asked a group of boys. We went outside to check our predictions. It really had changed. Sadly it was not now pink, silver or sparkly. While outside, we had several boys join the investigation. 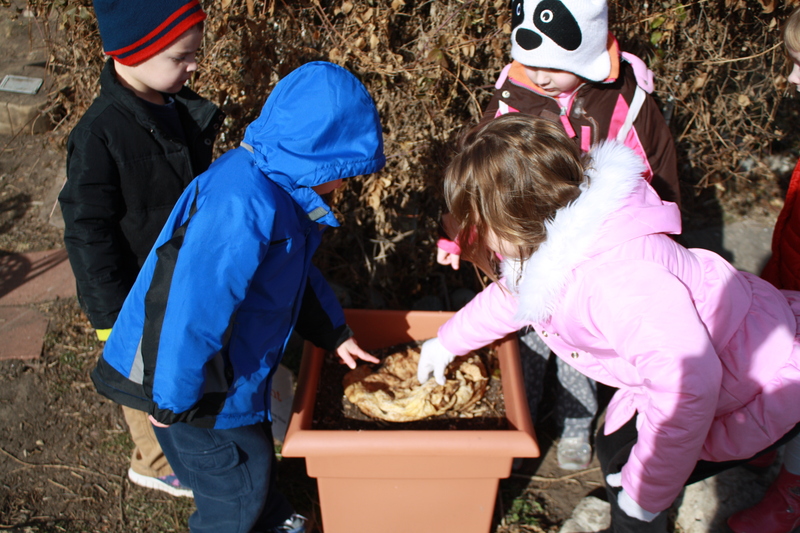 The children described this pumpkin as “smooshy,” “like squishy cake,” “flat and bumpy.” We again made predictions of what would now happen to the pumpkin. Someone thought “it might turn into a frog.” Another child said, “no, maybe a stick.” Hmmmm, I am afraid they may be disappointed in the outcome but I suppose scientist through the years have faced some disappointments. I love watching children investigate things. If we allow them the necessary time, they will ponder things for quite a while. I can almost see those brain neurons firing and making connections. 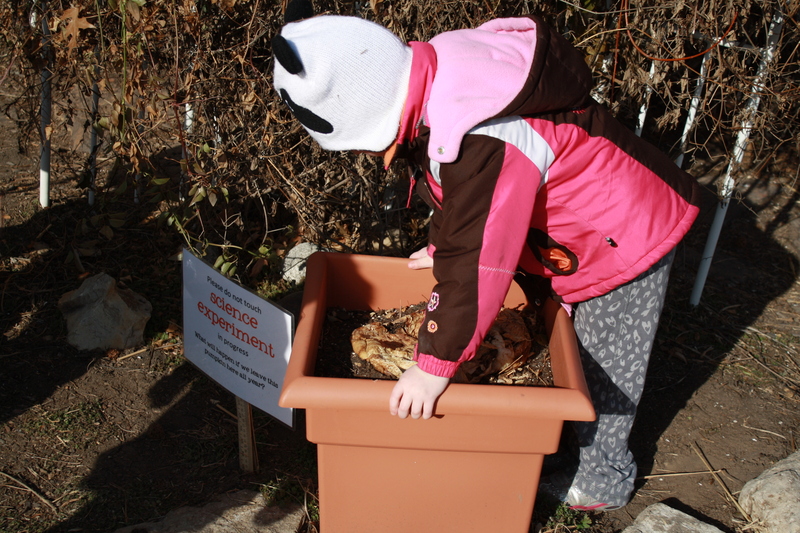 I love that the children wanted to touch it. They even took off their gloves so they could really feel it. 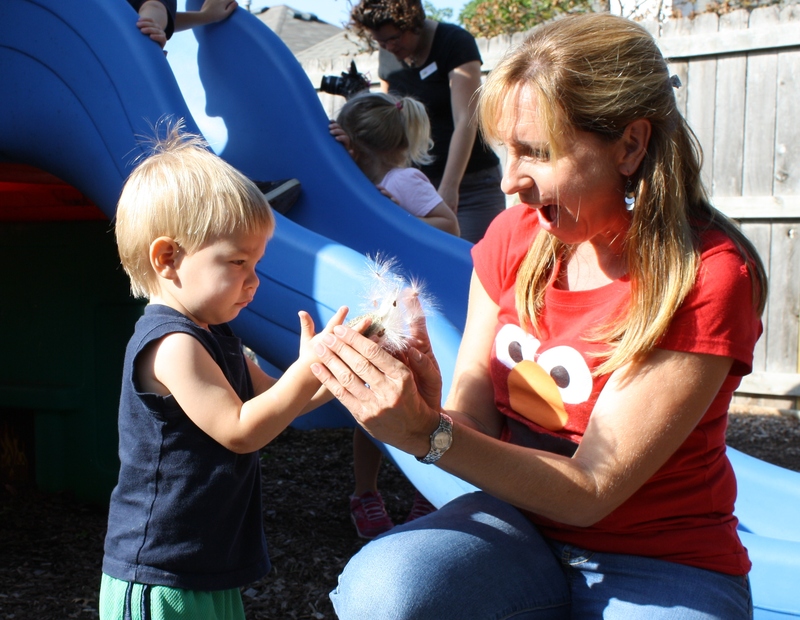 We often talk about how important hands on experience is for children. Today it really was! Keep watching. We will do more important pumpkin investigating this spring! I came across an amazing resource for families with young children. 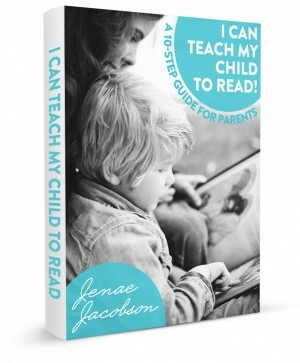 Janae Jacobson has a wonderful blog, www.icanteachmychild.com full of activities and ideas for parents with young children. She recently wrote an e-book titled I Can Teach My child to Read! A 10-step guide for parents. 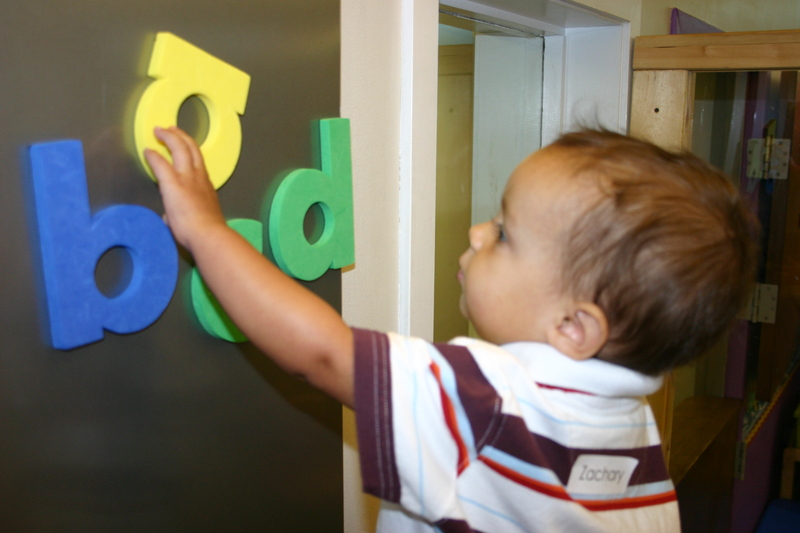 Learning to read is such an important and amazing skill. While reading her book I found myself thinking “That’s exactly what I want to tell parents.” I plan to personally purchase this e Book for friends and family as a baby gift. There are tips that would be helpful from birth on. To launch her new e Book, Janae is offering it at half off for just $1.99 through Saturday, January 12th. I encourage you to take a look. You can learn more about the book and purchase the PDF version here or the Kindle version on Amazon. 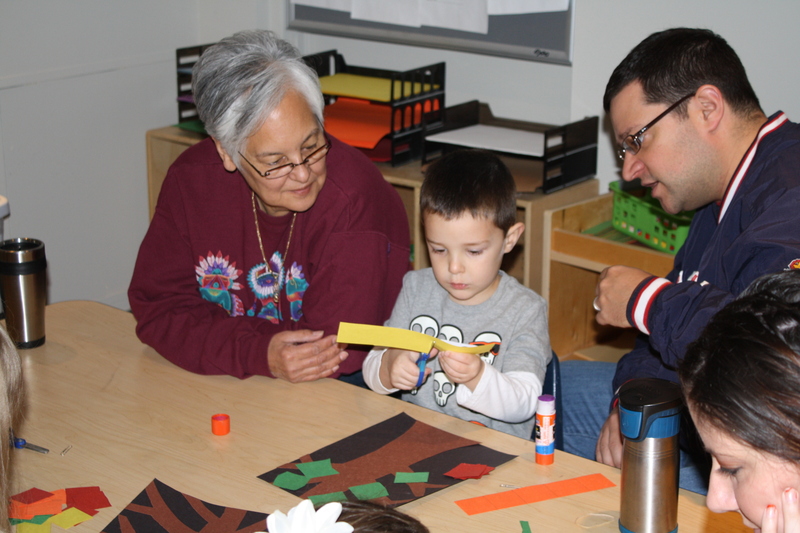 This fall we had a young couple stop in our office asking, “Do you have a preschool here?” I quickly answered “Yes,” and began mentally preparing to give information about classes, enrollment, etc. They surprised me however by saying, “Here, could you use these?” It was a bag filled with small paper cups, napkins and paper towels. They explained they are going around doing random acts of kindness. How heartwarming. It certainly made my day and I have thought about it often since. 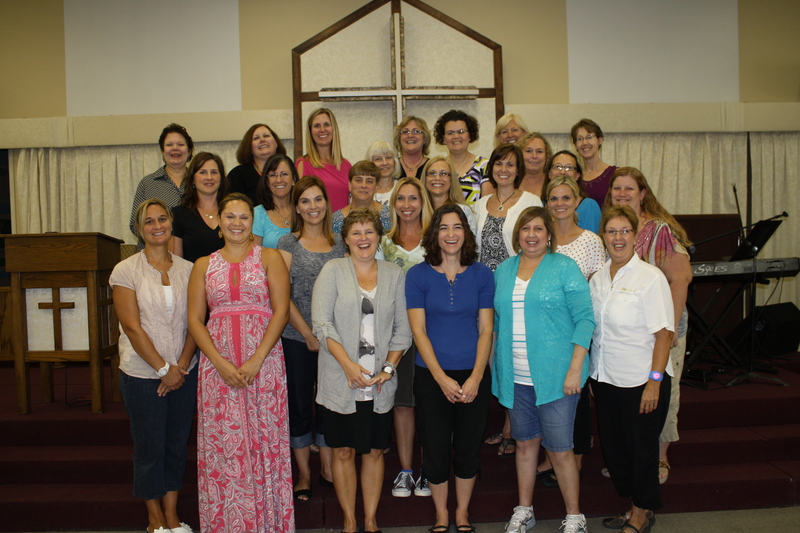 Ms. Shelly shared a Devotion Worship message this fall based on the book “Fill A Bucket” by Carol Mc Cloud. This book does a wonderful job of explaining for children the concept of each person having a bucket (or spirit) that can be filled by other’s kind deeds. The children quickly embraced this wonderful concept. 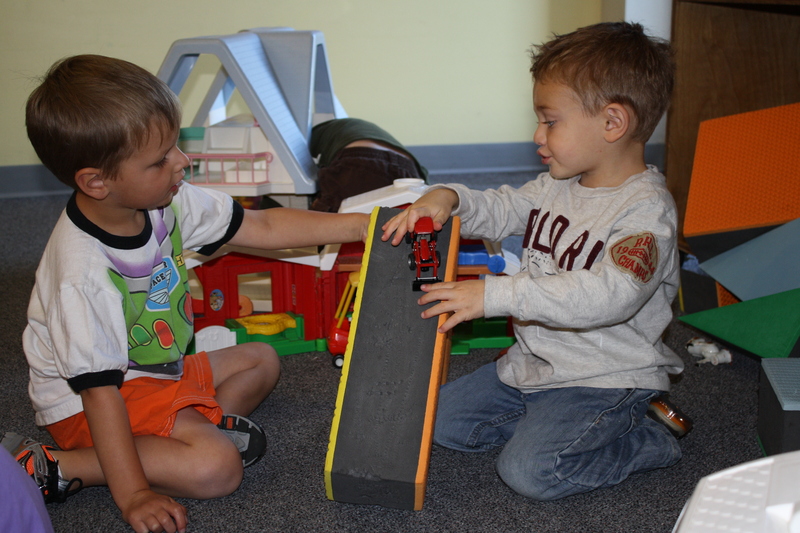 At school, we love noticing when a child shares a toy, helps hold a door open, carries supplies for a teacher, etc. and thanking him or her for “filling up a bucket.” A child’s joy at being able to do something special for another person is such a priceless gift. January is typically a month for resolutions and thinking of ways we can better ourselves. As I thought about our “Fill a Bucket” devotion and the random act of kindness, I began thinking how good it would be to help children be intentional about doing good for others. We can turn the love from of our own filled buckets into kind and helpful actions. Of course with young children we need to break something like this into simple, manageable discussions or concrete actions. These lists by no means cover all possibilities. Hopefully these will give you a foundation to come up with your own ideas. I encourage you to find a way each day to share about times each of you have shown kindness. Make a big poster, light a candle while you talk or write them on slips of paper to fill up a jar. Simple rituals like these will make a big impact on young children. We will be discuss this idea once we are all back at school (by the way, school begins again on January 3rd.) We will find a way to celebrate kind acts there as well. Watch for more information about this. I hope we can promote more kindness in ourselves, our children and our world.